When it comes to protecting your home and your family, we've got you covered! For over 35 years, Spencer Roofing has been providing full-service roof maintenance and roof replacement solutions in the Milford area. At Spencer Roofing, providing exceptional customer service is our #1 goal. We understand that your home is an important investment. Your concerns are first priority, and we will help you select the most appropriate roofing system to meet your needs. Experienced and honest, our team has a great reputation as your "hometown roofer" that cares about your home and property like it's our own. Founded by David Spencer as a two-man team, Spencer Roofing grew and thrived in the 90's into a company doing major condominium complexes as well as homes of all sizes. We have come full-circle and now specialize in serving homeowners, who have always been the roots of our business. At Spencer Roofing, we believe your roof is the most important part of your home. When it comes to protecting your house, your family and your belongings from the elements, nothing is more crucial than your roof. We also believe a well-constructed, properly ventilated, insulated, and maintained roof should last at least 20 years before complete replacement is necessary. 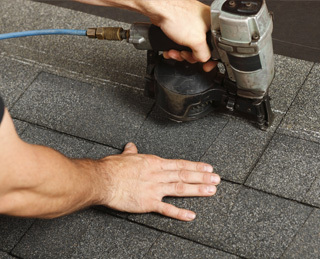 We do our best to repair and maintain your roof if possible. Worried your roof has problems? We're here to help! We are proud to have experienced, honest salespeople who have the integrity to NOT try to sell you a new roof unless you need it. We are happy to give you an estimate anytime, but we don't use high pressure sales or take hours of your time. Our hardworking staff, competitive pricing, and satisfaction guarantee keeps our customers confident in their choice to work with our experienced team. We deliver great value by consistently offering the highest quality materials and workmanship at competitive prices. The last thing any homeowner wants is to spend a substantial amount of money on a new roof and not get their return. Fortunately, Spencer Roofing not only offers high quality roofing materials, but we're also one of the few roofing companies that offer extensive warranties. While we can use ANY level of shingle you desire, we won't compromise our workmanship by lowering our standards. We have experienced crews who do top-quality work that we proudly stand behind, which is why over 70% of our business comes from referrals! 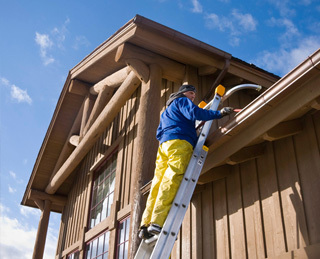 Regular roof maintenance is the key to preserving your home's structural integrity. Regular inspections can identify common roofing problems such as mold, debris, and structural damage before they escalate to the point where a full roof replacement is necessary. Roof cleaning helps keep moisture and debris, such as fallen leaves and dirt, off of your roof's surface. With time, these materials can build up, causing algae and mold to grow. Debris can also rot, which eats away at your shingles over time. Spencer Roofing is proud to be the only Copper Cat® installer and distributor in Michigan. Copper Cat is an innovative roof cleaning product that keeps your shingles clean by preventing the growth of mold and algae. 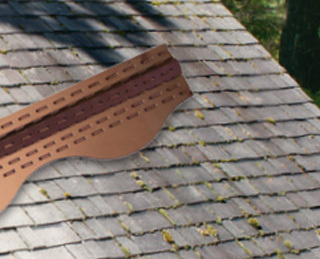 Invented by our founding father, David Spencer, these specially perforated copper strips can be added to the top of any sloped roof -- new or old. Copper Cat works for the entire life of your roof and prevents streaking, making it easier to maintain your home's curb appeal. With an environmentally friendly approach, you can feel good about using this product to protect your roof and keep it clean. Copper Cat will clean the entire face of your roof (where you attach it) within 2-3 years by itself. For instant gratification, we include a mild, environmentally friendly chemical wash to clear existing stains (unless you don't want it) and by the time that wears off the Copper Cat takes over and your roof will stay cleared of algae until you replace it. Spencer Roofing delivers superior customer satisfaction! If you're looking for quality roof replacement and maintenance services, contact the team at Spencer Roofing for a free estimate today! The contents of this webpage are Copyright © 2019 Spencer Roofing. All Rights Reserved.